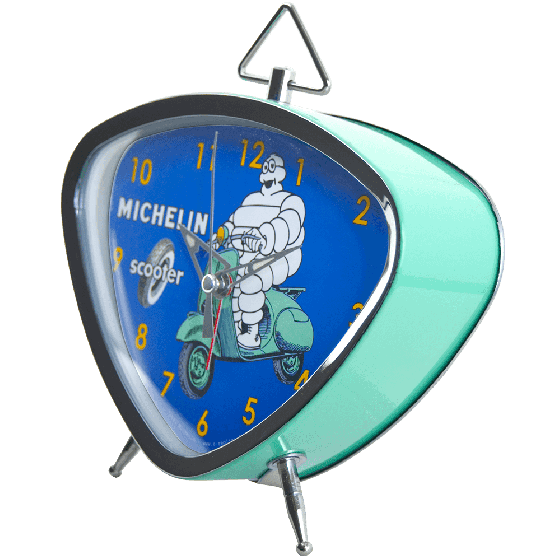 The Promotional Clocks feature the original Michelin advertising artwork “Mr. Bibendum on Scooter Desk“. This retro-style Mr. Bib Ad Clock will stand out in your office or home with it's seafoam green color. Easy to read clock with a glass cover to protect the face (battery operated). 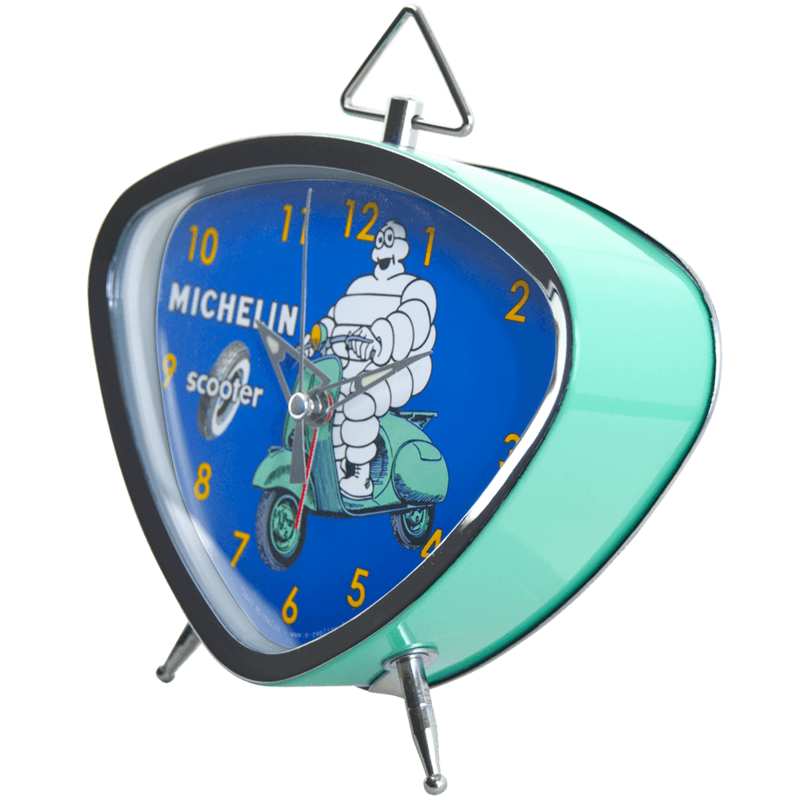 It's more than just a clock, it's stylish automobilia! Size is 5"" x 5.8""